PRICES SHOWN INCLUDE VAT & SHIPPING, the price you see is what you pay, no hidden costs when you check out. 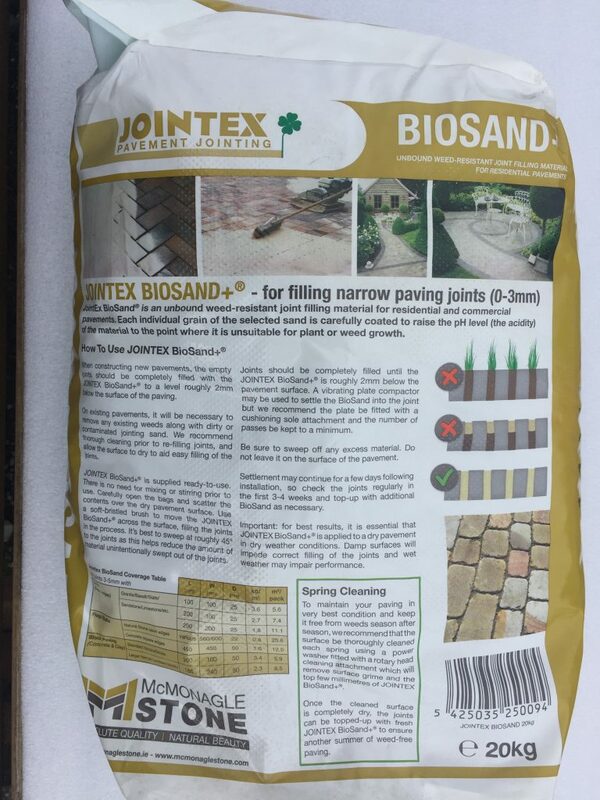 Biosand, basically, is a unbound joint filling material for residential pavements/patios. An added feature of weed resistant is a fantastic addition. Every granule of sand is covered to raise the acidity of the product to point, stopping weeds. The empty joints should be completely filled with the BioSand to a level of 2mm below the surface of the paving on the new pavement. On existing jobs, remove any existing weed growth and plants along with any existing jointing sand. Clean completely and allow to dry. Jointex BioSand is an RTU (ready-to-use product). No mixing just open the 20Kg bag then pour over the pavement to be treated and filled. 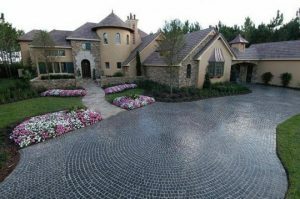 Brush carefully across the patio/pavement and of course fill the joints. Fill to 2mm under the surface, use a compactor tool to settle, gently with a cushion base added. Then brush away excess material, must not be left. Over the next few days/weeks keep the joints topped up, they will settle completely in time, ensure to keep some biased spare for this.